Fantastic opportunity to secure a four bedroom home located only 300 m to the dunes of Sawtell Beach and a flat 700 m walk to Sawtell Village. 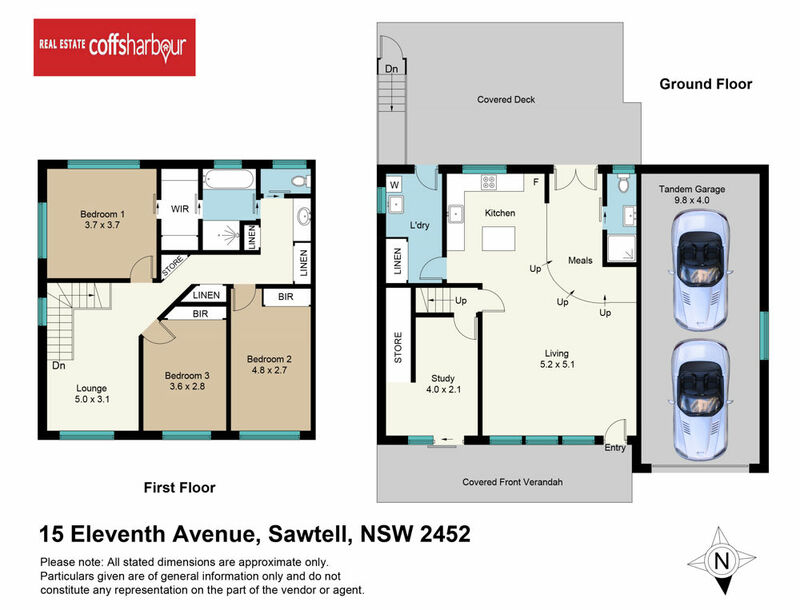 Sawtell public school is only a 200 m walk and public transport only 50 m away. A full width verandah to the front of the home is practical and provides a period style to the home. The ground floor of the home features an open plan kitchen, dining and living area with attractive hardwood floorboards providing a warm feeling and adding to the charm. French doors lead you from the meals area onto a large, covered entertainment deck. Off the living area is the 4th bedroom or study and there is a small bathroom and large laundry on this level. The single car garage has two doors that allow you to drive through to the back yard for boat or small caravan storage. The first floor consists of 3 bedrooms all with built in robes, a two way bathroom and a living area. The home is ready for a fresh paint and some TLC, so great opportunity for you to add your personal touches.